The Colombian Coffee & Roastery has transformed from a small roaster selling beans to a caf that builds community. Though Santiago Lopez left Colombia when he was eight years old, his ties to his home country have always been strong. So, when an uncle gave Lopez a call right around the time he was feeling burned out from construction work and really wanting to do something different in life, the timing was perfect. 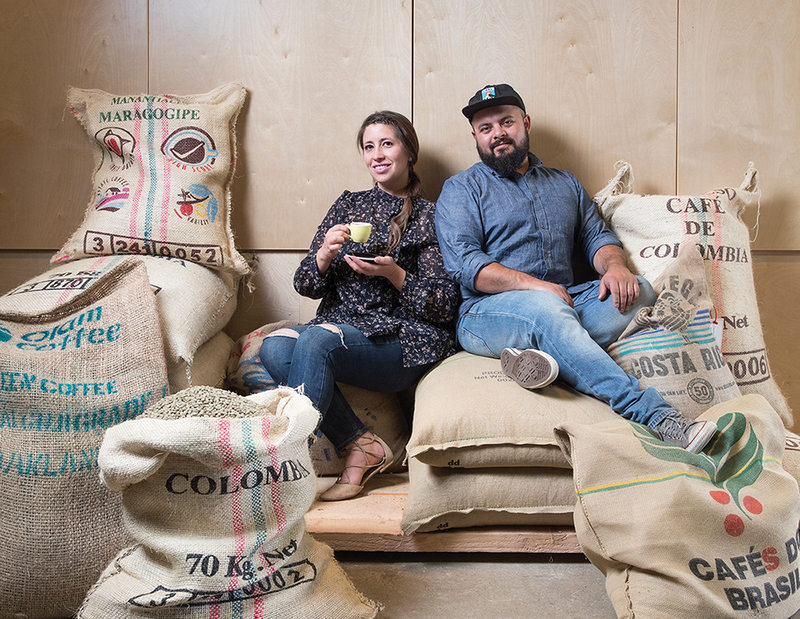 “He took over a coffee farm [in Colombia], and asked me to help bring the coffee into Canada. We looked at the different ways, approached a few coffee roasters, but no one was really interested in learning more,” Lopez says. He wasn’t deterred – he discussed the situation with his partner, Kristin Panylyk de Lopez, and they floated the idea of opening their own roaster. After some training and trips to Colombia, that’s exactly what they did. Though Colombian beans make up the majority of its offerings, the roastery has sourced from a few other areas in the world, such as Ethiopia and Central America. However, it always make sure two tenets are met – the coffee must be delicious, and the roastery must work with importers who have direct-trade and fair-trade relationships with the producers so that the coffee can be traced to its source. “For example, the Ethiopian we have right now is from a single state in the Shakiso region…I can actually tell someone the story about the farm it comes from and why it’s produced the way it is,” says Santiago. the crop-to-cup process, taste different brews, and even learn how to identify different tasting notes. Santiago’s uncle’s farm is located at 1,600 metres above sea level in a small town called Chinchina and produces washed coffees. Step 1: The steepness of the farm means the workers must collect the coffee cherries by hand; they go up and down the hills picking, eventually bringing their bags of cherries down to the farm to be weighed, as they are paid per kilogram picked. Step 2: The cherries go into a holding device, where water is added and all the defective cherries are skimmed out. Then, they are transferred into a wet mill, then a big tank where they ferment for about 18 hours to let the mucilage (the fruit covering the coffee bean) break down. Step 3: The cherries go into a machine where the mucilage is washed off, then they’re placed on drying beds in a type of greenhouse structure to dry in the sun all day. Three to four times a day, a worker must agitate the beans so they dry evenly. Step 4: Once the beans have dried to 10-12% per cent humidity, they are taken to the dry mill where the parchment is removed and the green, usable coffee beans are revealed. Step 5: The green beans go through a sorting process where any stones, debris or defects are removed, then they are packed into 70 kilogram bags and transported to Canada through a network of ships, planes and trucks. Step 6: The beans arrive at The Colombian, and are roasted. Once roasted, the beans must sit for three days to degasify, then can be ground and brewed.